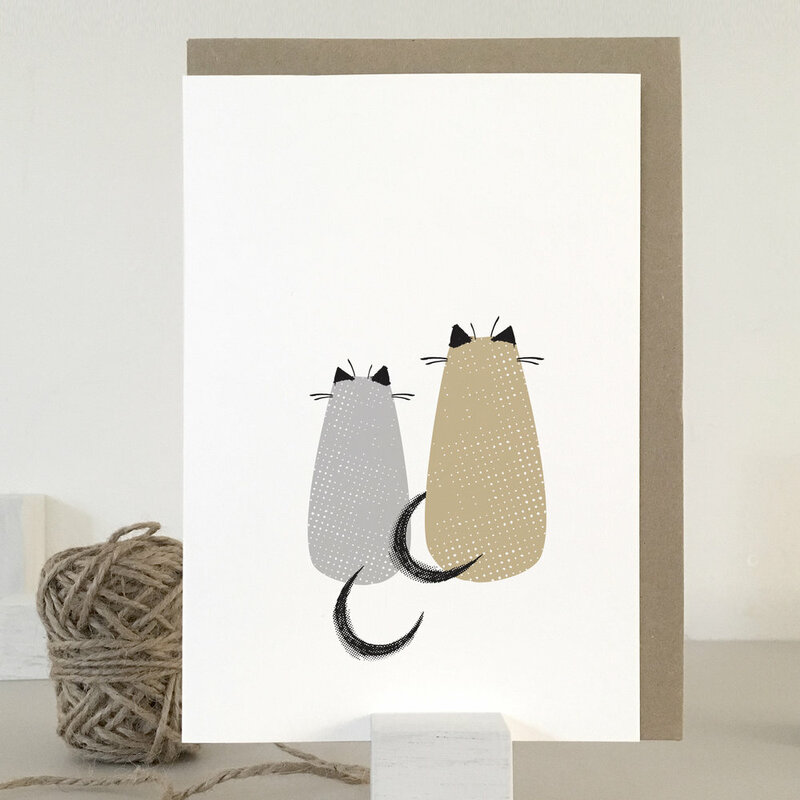 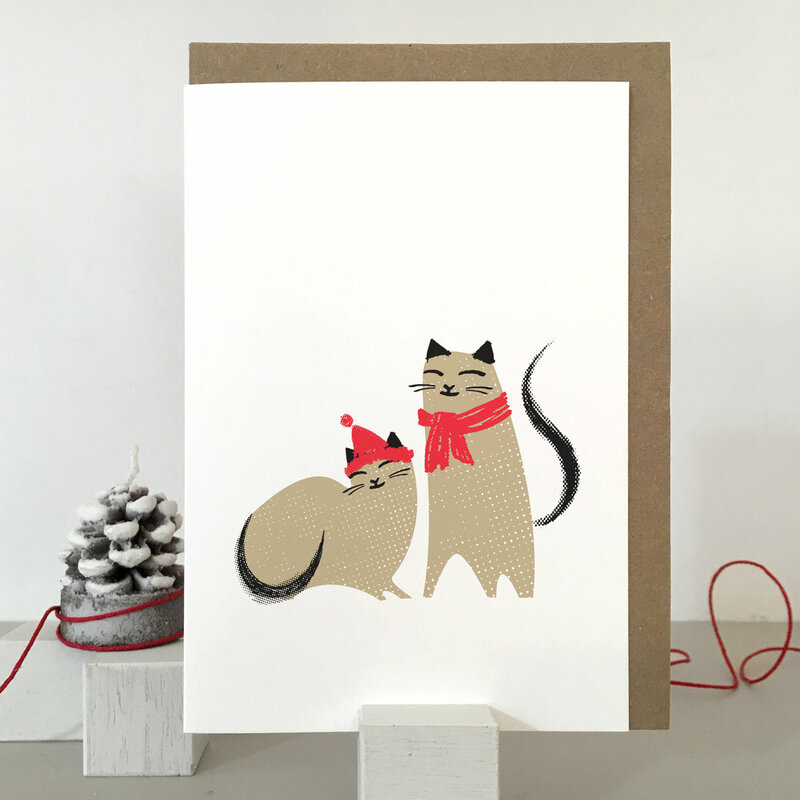 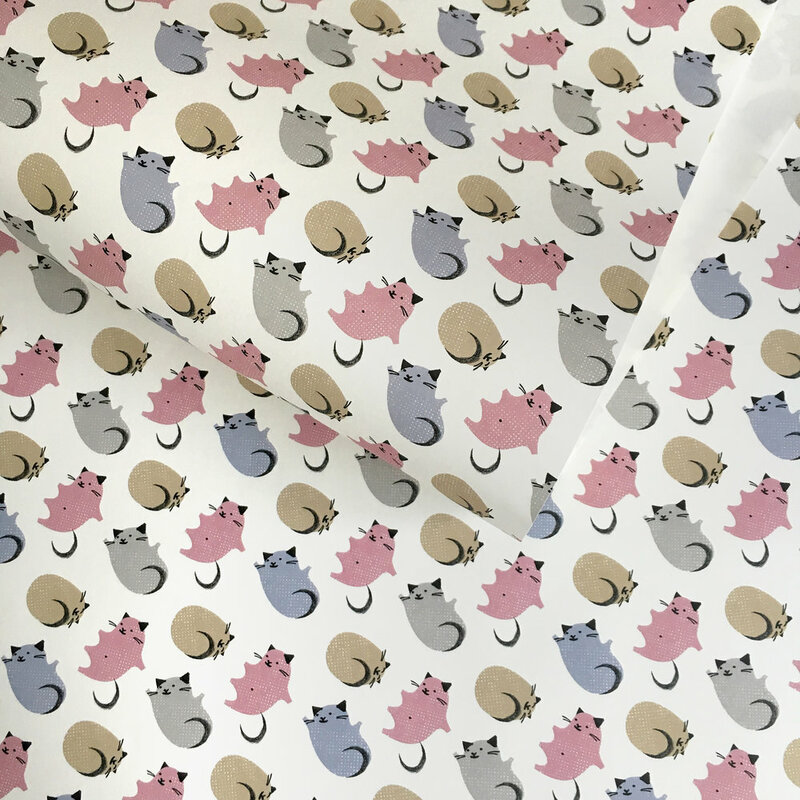 Kitty-corner is our brand new range of everyday cards featuring cats—and lots of 'em—purrrrfect! Brown craft recycled envelope, clear cello bag, blank inside. 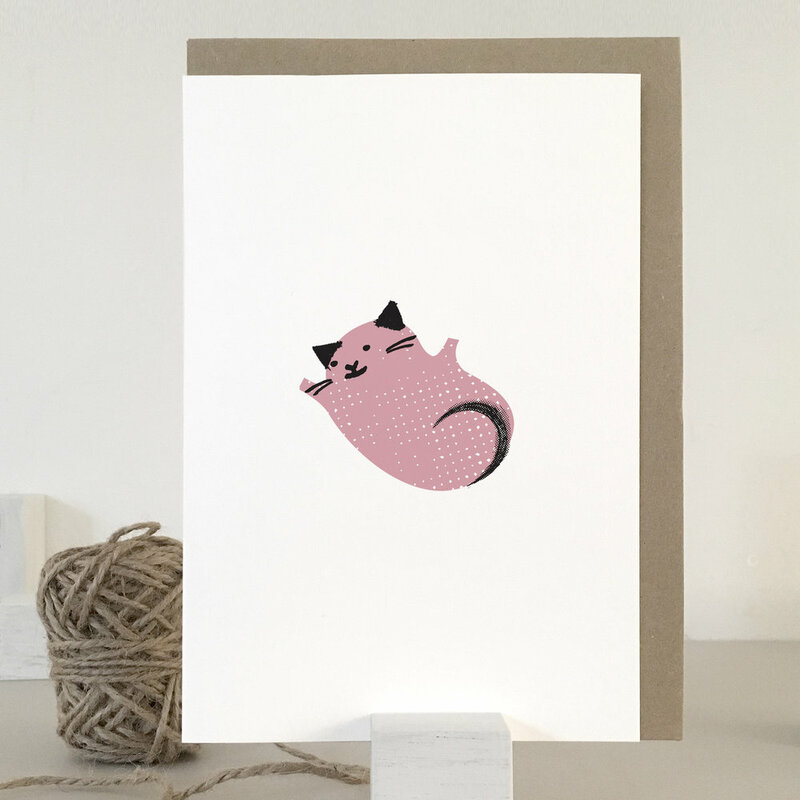 Kitty-corner set of 8 flat notecards with rounded corners. 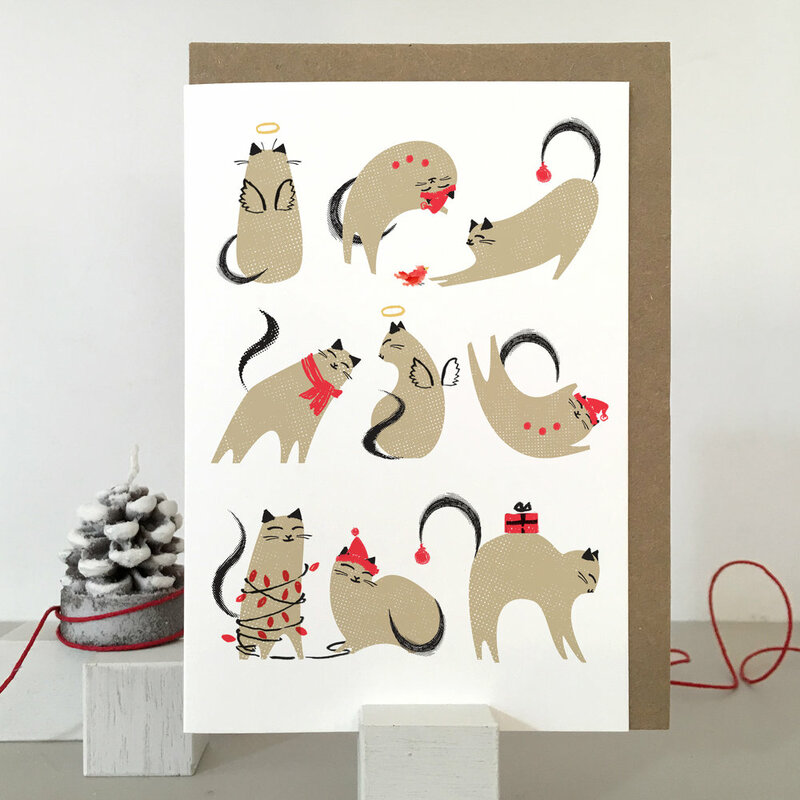 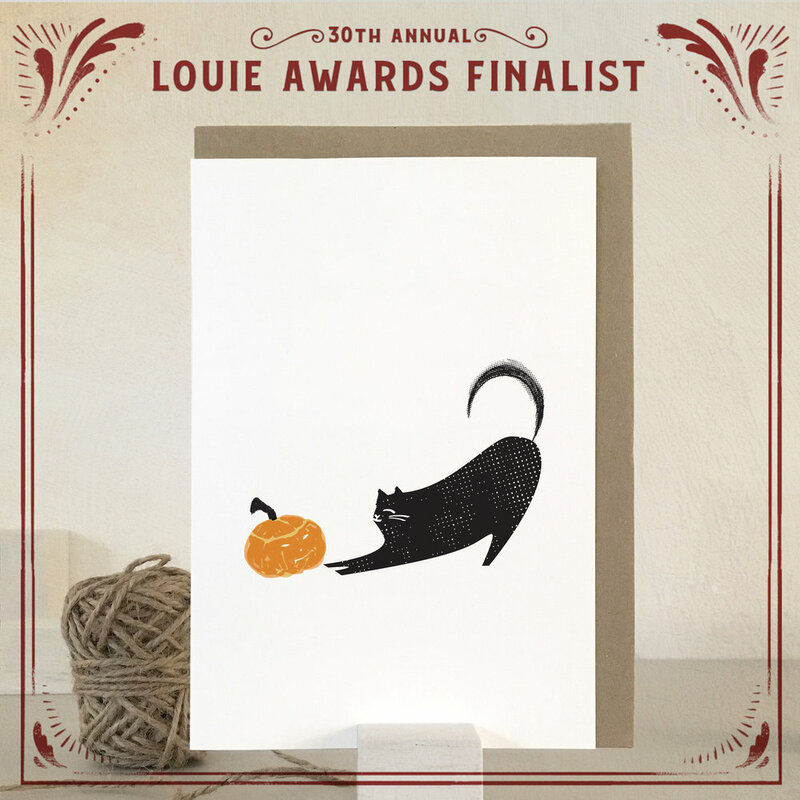 2 each of four different cat card designs with 8 recycled brown kraft envelopes. 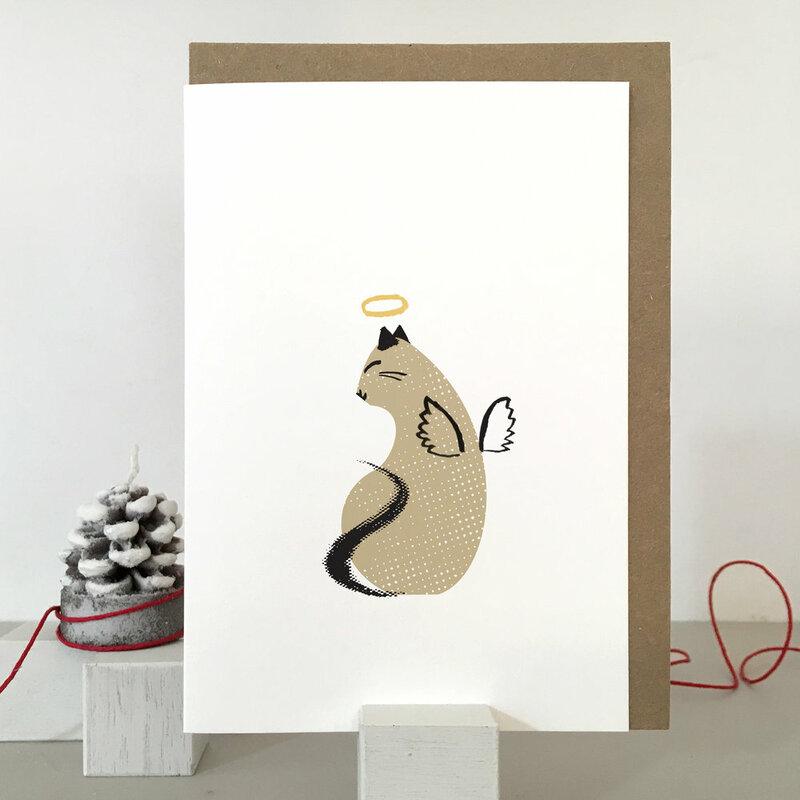 105 x 148mm, Soft-white uncoated card, 320gsm, that is carbon neutral and made using windpower! 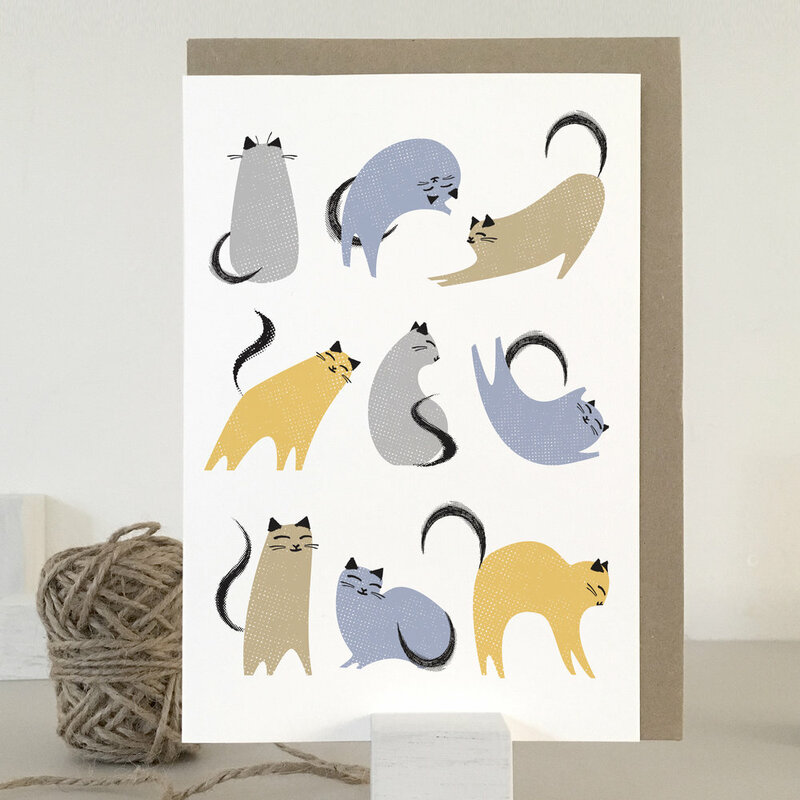 Kitty-corner boxed set of 8 blank cat notecards. 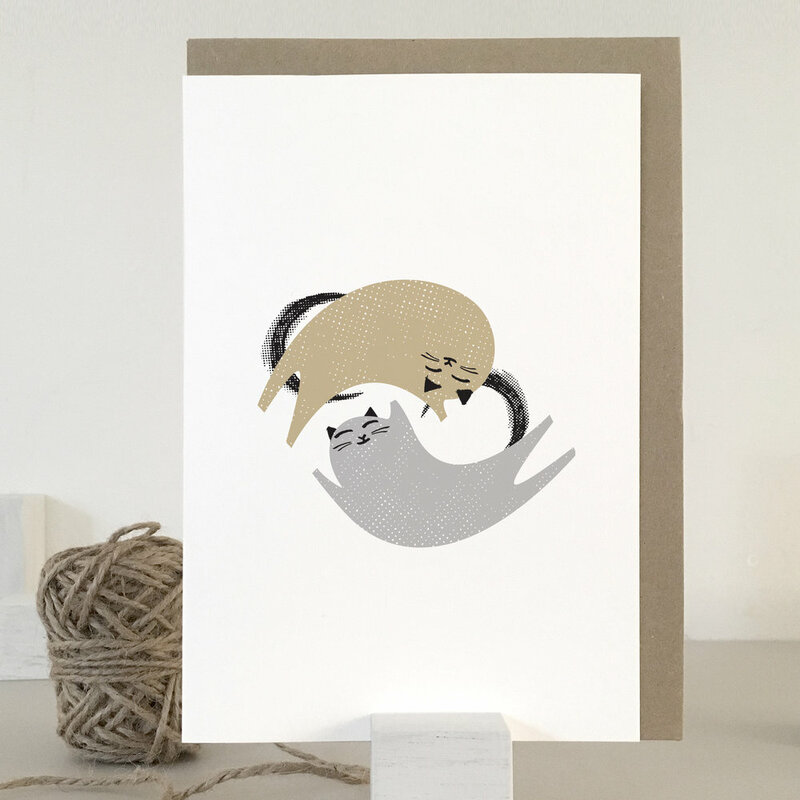 8 different cat card designs with 8 recycled brown kraft envelopes, recycled box with clear lid and twine.